How did writing your second Young Bond novel compare to your first? I guess I felt a bit more at home with James this time round, and with my voice for the series more established I could really get stuck into the other characters. I'd say the overall writing process took longer than Shoot to Kill - I wrote and rewrote quite ferociously to get the book the way I wanted it. In the special edition of the book you give us a fascinating insight into your research process; can you talk us through your research and writing for "Heads You Die"? Initial research takes a long time because I don't only want the stories to conjure visions of the past as a backdrop; I want to use the technology and trappings of the times to influence the plot. So, having decided I wanted to put James underwater, I did a lot of research on diving in the 1930s, and found that in pre-SCUBA times there was a strong youth movement of deep sea divers with homemade, highly dangerous breathing apparatus. So I was very pleased to bring that danger into young Bond's world. And of course, there's all sorts of transport involved in a plot as hectic as this, which meant researching seaplanes, cruisers, motor-yachts, motorbikes, fancy automobiles... so, it takes time to build that historical world: you have to learn so much about it, then leave out 90 per cent of it so you don't overwhelm the reader or slow down the pace of the thrills. That's where edits and revisions are so important to the book as a whole. Have you ever been to Cuba or was your visit virtual? I like to visit a location wherever possible but with my schedule I, tragically, couldn't factor in a trip to Cuba. However, I feel as if I've spent a lot of time there! To be honest, so much has changed since the 1930s there was a good amount of things I wouldn't be able research first hand. However, I've watched a tonne of newsreel footage, contemporary tourism films, read magazine articles and novels that are set there, tracked down the US military guide to Cuba compiled in the early 20th century, found photographs and blogs and all sorts. Once you can imagine the location in your mind you can hopefully start selling it to the reader. Did you base any of the characters in "Heads You Die" on people you know? What lead you to focus on a smaller group of characters in "Heads You Die"? In the novels I think the people Bond meets cast light on his own character, so you want people who'll bring out different facets of his personality and allow you to explore them. Originally there were a few more characters - more young divers in the Suicide Club, more villains and victims... but there's a quite intense dynamic in the plot that comes from the relationships between these people, and I didn't want to dilute that by putting in too many characters. Will we see La Velada return? How will you personally measure the success of "Heads You Die"? If it gets readers turning the pages, then I've done my job. There are touches of Dr Shatterhand in Scolopendra's scheme. Was that always the intention? How many iterations did the plot and scheme go through to end up with what we have today? 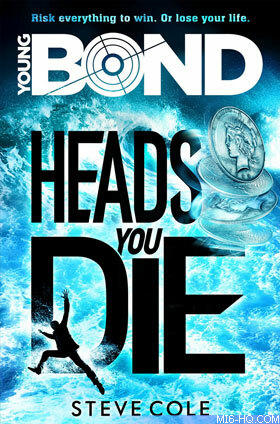 It wasn't intentional, but then the whole Bond mythos is always softly whispering at the back of my mind as I put together these novels. The basic villainous plot was always present, but there were many changes in terms of its execution. 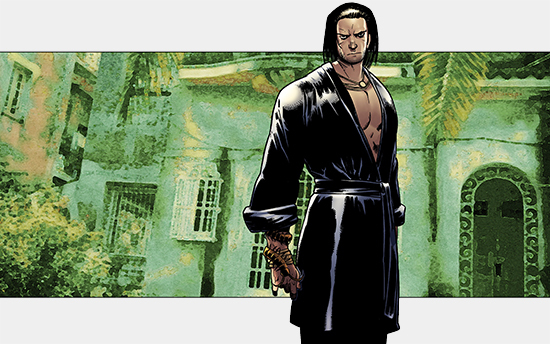 Scolopendra started off as a Romanian named Dracul and became a Brazilian named Lobo based near the Amazon before embracing his Cuban heritage... and La Velada started off as his wealthy wife before her role grew greater and her mystery deepened. It was fun, reshaping and refining the characters and their motivations. 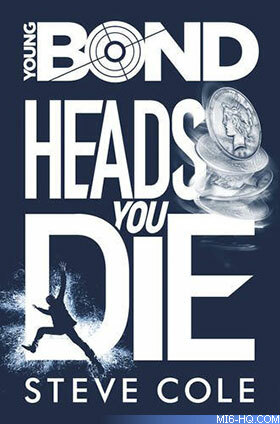 What is in store for Bond next?